If you love Kittens then you'll love these Kitten Bandages. With these cute bandages you can cover up all your ouchies. 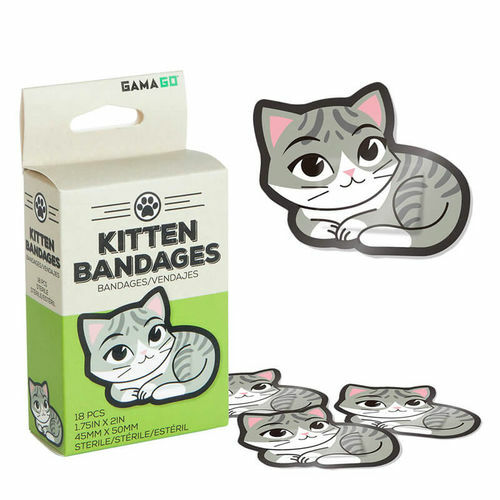 These cool kitten bandaids are the perfect item for your home or travel first aid kit. Kitten Bandages pack contains 18 latex free bandaids - 45mm x 50 mm in size. Experience the healing power of Kitten's whenever you have a minor cut or scrape.